Never mind the big wheels, big wheel arches and the jacked-up ride height; when you’re driving the GLC 250 coupe, you are driving a car. In fact this is a very pleasant ‘car’ to drive, with excellent ride characteristics, ample performance and pleasant ambience. Reminds me of driving a C 250 sedan. And that’s where the art of artifice comes in. 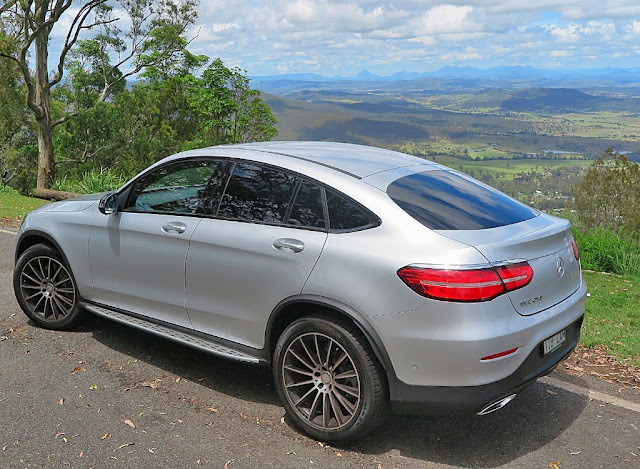 BMW has its X6, so Mercedes-Benz has to be on the same band wagon, thus we have the GLC 250 coupe – a big, fastback SUV, based on the C Class sedan platform. 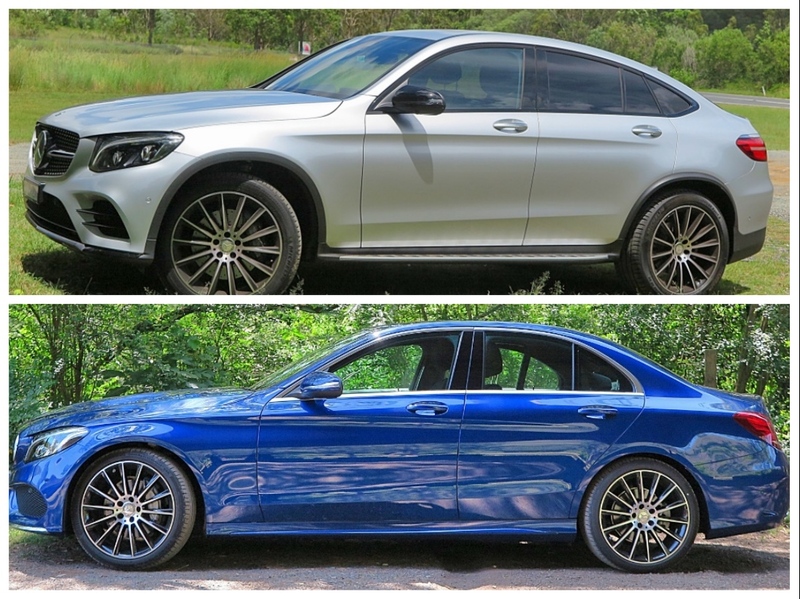 The GLC coupe in lighter colours with the various black-out bits looks even more like a car on steroids. Mercedes-Benz has read the tea leaves very well on the demand for this type of SUV. However, strip away the items I mentioned up front, and you’ve got yourself a car masquerading as something completely different. There’s almost nothing more to say. 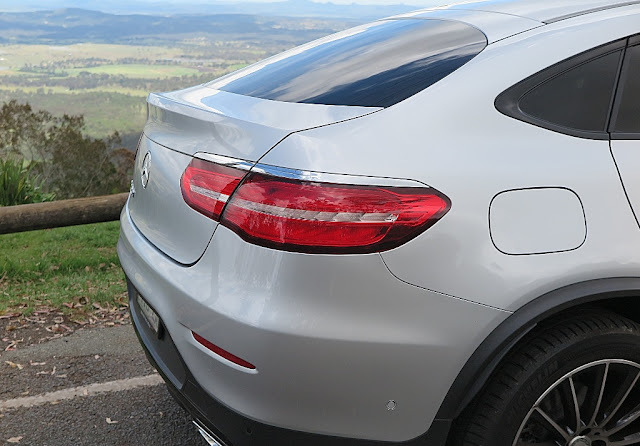 For AUD$80K+ you get the ‘Diamond Grille’; sensational Burmester audio system; very grippy Michelin Latitude Sport 3 tyres; the usual meticulous attention to detail in the cabin, and exemplary fit and finish. On this test car, you also got lots of 'stuff'. 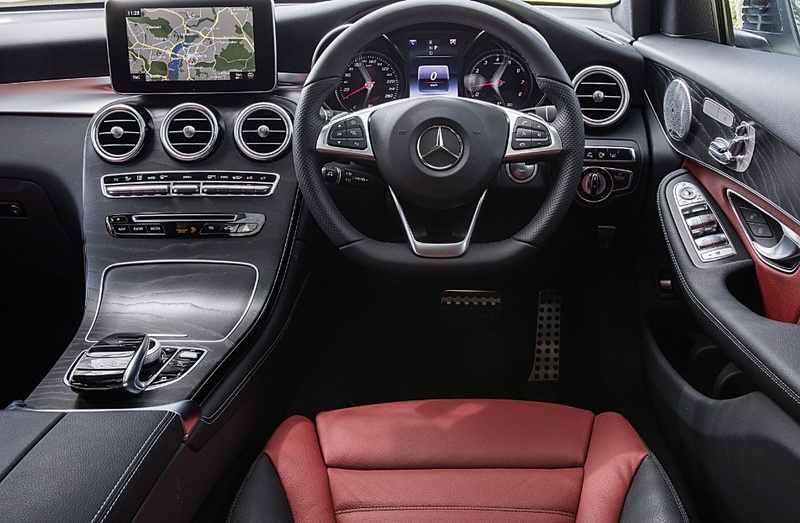 The ride is excellent, and the 9-speed Mercedes-Benz auto is smooth and precise; making the most of the modest 155kW from the 2.0L turbocharged four cylinder. 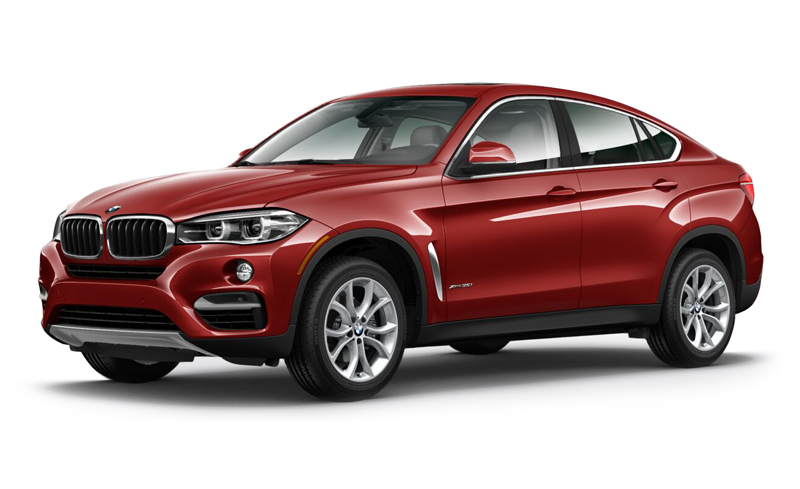 The fact that in basic trim the GCL 250 coupe can’t match BMW dynamics is a moot point, because I don’t think buyers of this car are looking for super-sensitive and scintillating handling. Remember most of the volume for this car goes to the USA, and that is NOT a nation of mostly sporty drivers, like Germany and Australia. The one downside to the sleek fastback styling is the lack of a rear window wiper. Rain will clear from the window using just airflow, but that’s only really effective at 120km/h-plus – which is a bit impractical for round town driving. I’m told that design chief Gorden Wagoner nixed the wiper, because he thought it spoiled the look of the sculptured rear end. What was that about form before function? Let’s face it, this is a vehicle for a specific audience, and that doesn’t include me. I prefer cars, rather than any sort of SUV, but I have to say, once behind the wheel of the GLC 250 coupe, you’d be hard pressed to realize it’s an SUV. That is until you rocket into a slow corner, tug the wheel, and feel the higher centre of gravity take over. 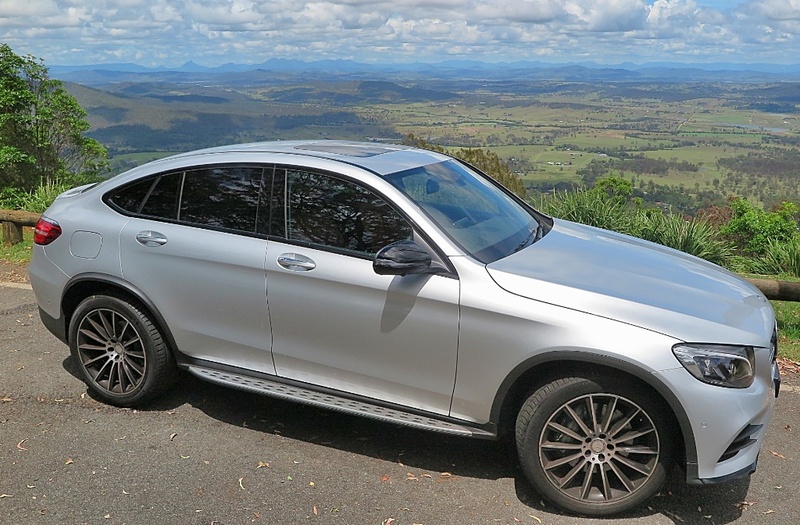 The basic 250 GLC coupe starts at AUD$80,100. To this car is added $1990 for metallic paint; $2990 for the Command package; $3590 for the Vision package; $490 for the Night package; $590 for a sports exhaust system and $1290 for the Comfort Seat package - totalling AUD$91,040. I guess the buyers must be happy, because the dealers tell me that's mostly what people are ordering. The 250 GLC coupe is a quality package, drives beautifully and is probably right on the money when it comes to contemporary tastes. For me though, I'd rather lower myself into a car, like the excellent SLC 300, than climb up and down to an SUV. I still can't fathom what the world is coming to when huge, lumbering SUVs rule the road? Gottlieb Daimler chipped away at a vehicle structure around a similar time as Karl Benz, however since his was a changed over pony carriage, rather than a reason planned frame as benz Karl, Karl Benz was credited as the dad of the car.